Just came across this offer today. 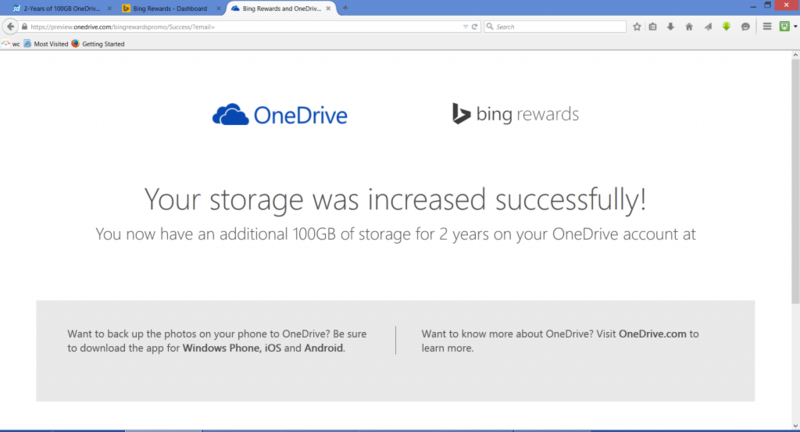 It is pretty neat: 100 GB of Microsoft OneDrive Storage – free for 2 years! 5) You will see a page that states, “100GB of free OneDrive storage for 2 years.” Click the “Get my storage” button, and you should be set.